When the 3D Magic Words reveal the Skin&apos;s True Radiance! Blur Flaws in 10 minutes!! These pearls can be incorporated into a customizable transparent serum: Solagel (polysaccharidic suspension gel), recommended for its interactive properties with the pearls. 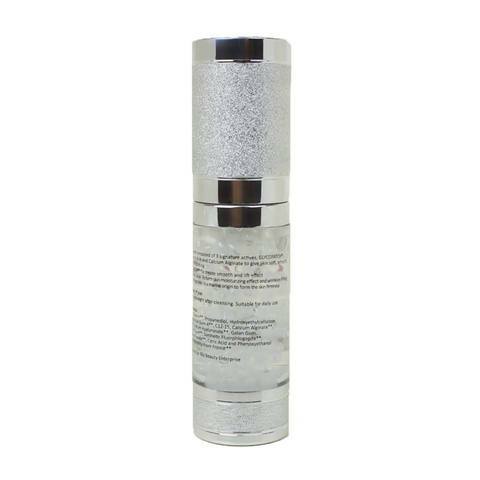 By combining hyaluronic acid, well-known for anti-aging and moisturizing properties, with a film-forming polymer having a "lift" effect, called Glycopatch, the SolaLift pearls visibly perfects, immediately and in the long term, your skin&apos;s complexion. It blurs the flaws, smooths wrinkles, refines your skin&apos;s texture, moisturizes and reveals your skin&apos;s true radiance. This is the guarantee for an ideal skin!